A shedder in action in Gillingham! 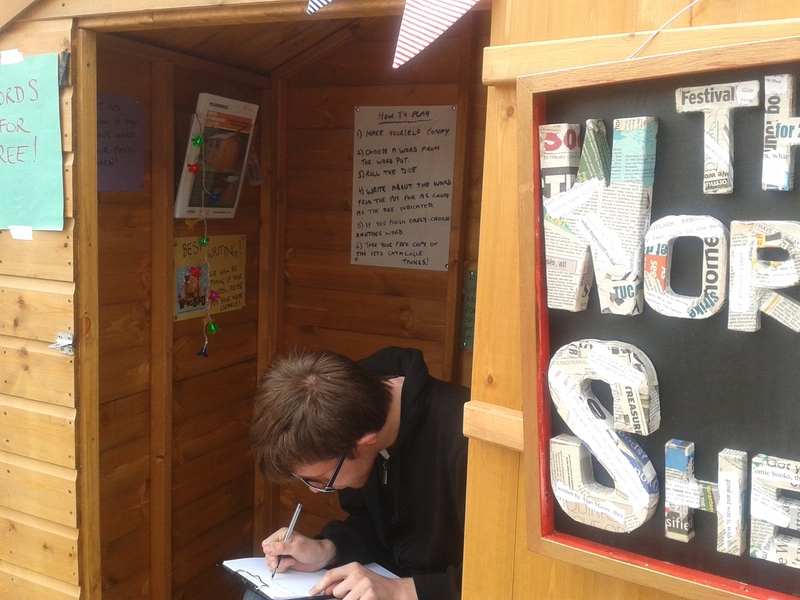 We’ve had a great response to our Word Shed project this weekend, so far. We positioned the shed in Gillingham on Friday and yesterday we were in a windblown Chatham, along with the other acts in Streetart day. Today, we are in Rochester Castle Gardens, and it’s your last chance to contribute to the online version of our publication The Seed Catalogue (Download it from the Word Shed blog). Today we will be alternating a writing session and a reading session, where we read extracts from writing collected during the project. We will be typing up everything we can from this weekend and adding it to an online version next week, which will be available from the Word Shed blog. Previous PostThe Seed Catalogue – launching at the FUSE festivalNext PostThe Word Shed at Fuse over… watch this space for what’s next!